According to representatives from Konami, Silent Hills has been cancelled but the Silent Hill franchise isn't finished yet. Horror fans let out a collective cry of anguish when Guillermo Del Toro revealed that Silent Hills had been cancelled. The project, which was to be co-directed by Del Toro and Hideo Kojima with Norman Reedus in the lead role, was perhaps one of the most hotly anticipated entries of the horror franchise. But after hoping and praying it wouldn't end here, Konami has officially confirmed that Silent Hills is finished - although the Silent Hill franchise will continue. 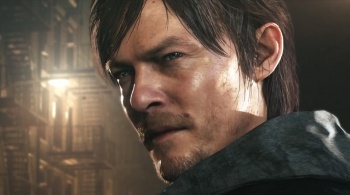 "Konami is committed to new Silent Hill titles," a representative told Game Informater, "however the embryonic Silent Hills project developed with Guillermo del Toro and featuring the likeness of Norman Reedus will not be continued." And to rub further salt in the wound, the interactive teaser game P.T. disappears this Wednesday. "P.T. is being pulled from the PS store since it was created as a playable teaser for Silent Hills, but the distribution period and license usage within the demo have both now expired." Konami didn't state precisely why Silent Hills was cancelled, but if it involved the publisher's changing relationship with Kojima Productions it wouldn't be a huge surprise. We'll report more information as it develops, but now's your last chance to download P.T. from PSN for a glimpse of what could have been.